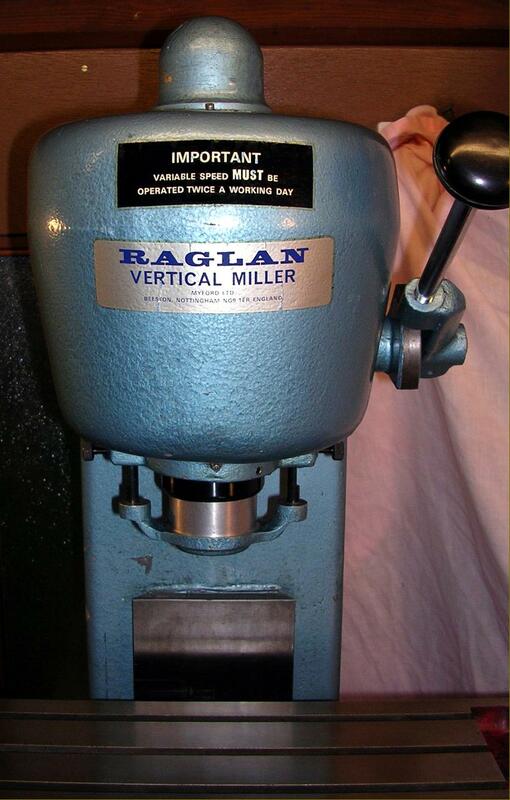 Built during from the late 1950s until the late 1960s, the Raglan vertical miller was an especially well-made, beautifully finished and compact machine. 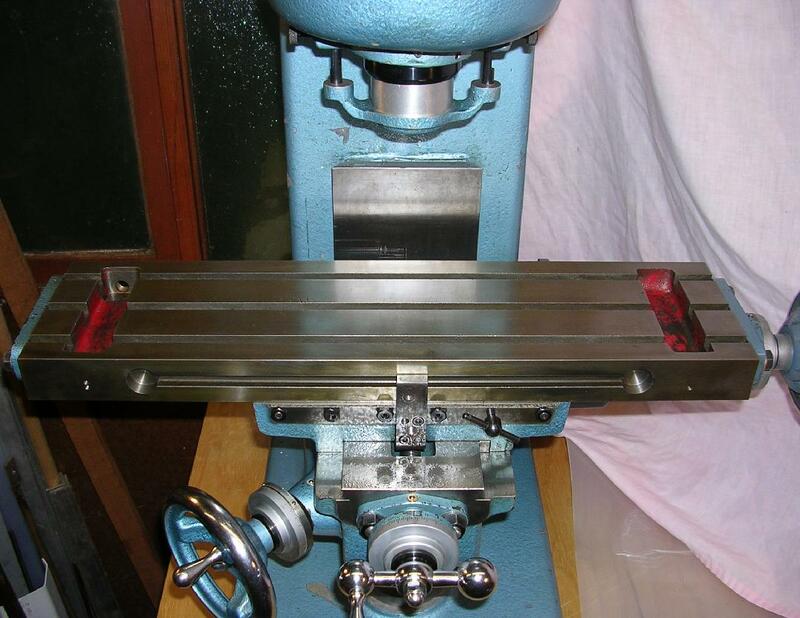 It was usually supplied on the maker's braced sheet-steel cabinet stand (with a shallow, welded-on chip tray), that required a floor space of around 24" x 18". 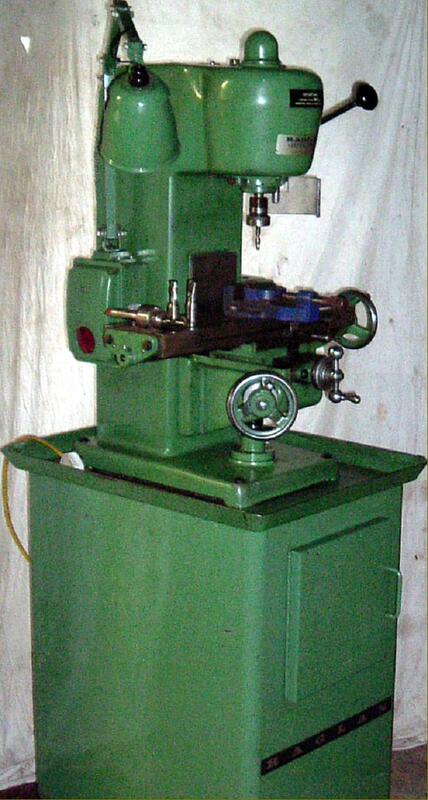 The motor, either a single or 3-phase 1425 r.p.m., or 2-speed 710-1425 r.p.m. 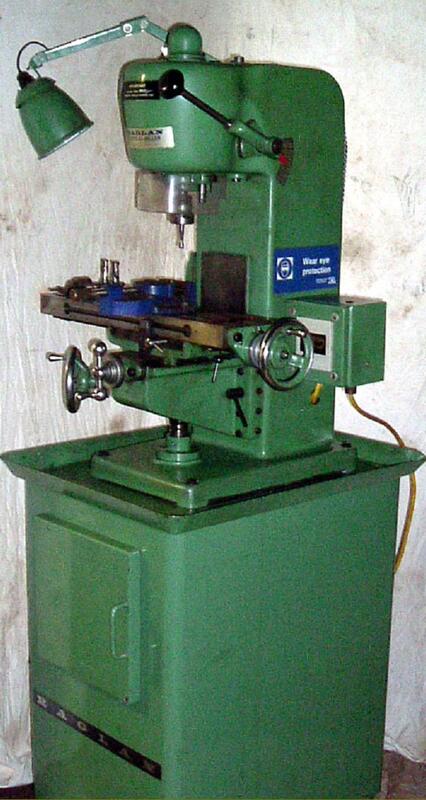 3-phase unit, was built into the body of the machine and drove the spindle though a variable-speed system of a type also used on the Company's "Little John" lathes. A push-button starter was built into the right-hand face of the main column. 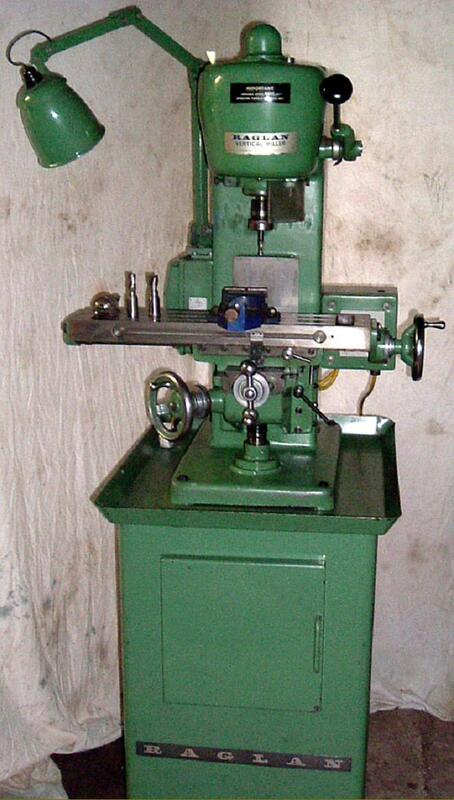 Spindle speeds ranged from 380 to 2250 with the 1-speed motor and 180 to 2250 rpm with the 2-speed. 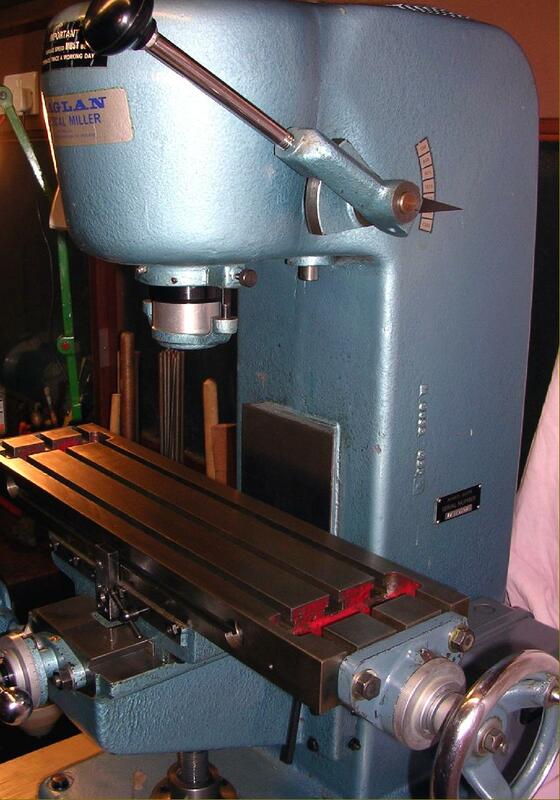 Running in Timken taper roller bearings, the high carbon steel spindle had a No. 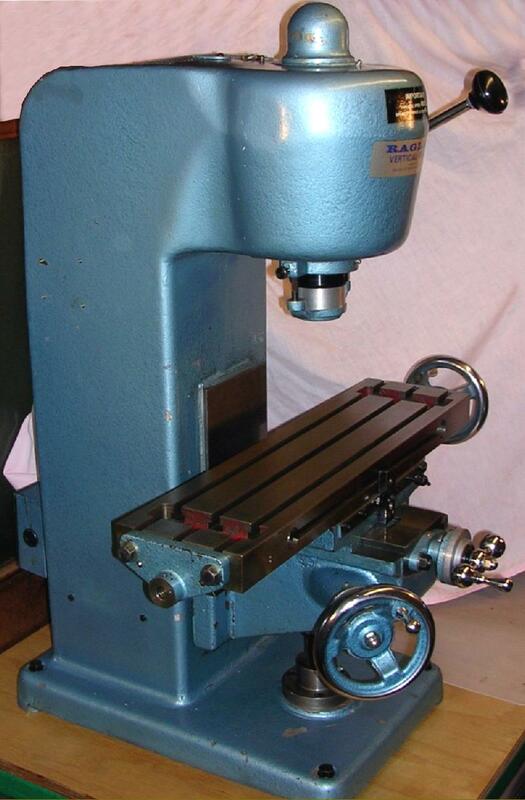 2 Morse taper in its nose - but no down feed, instead the knee, as on a proper, full-sized machine, could be elevated. 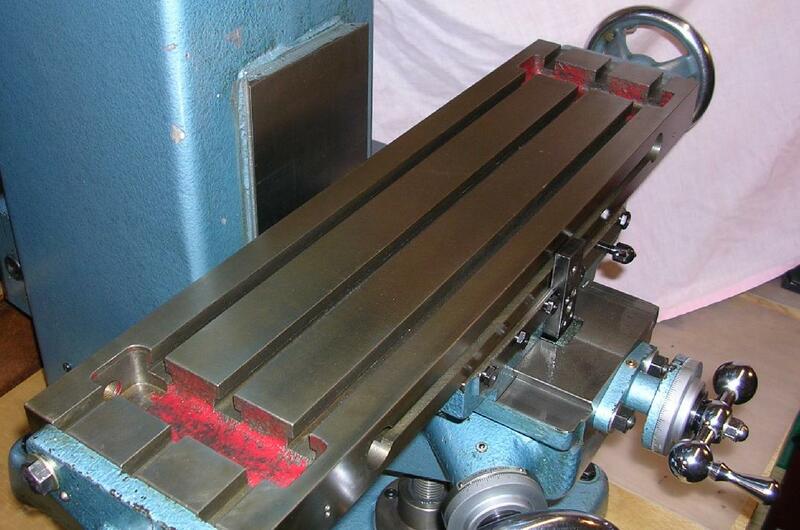 The 21" x 5.5" table carried three T-slots with a coolant trough at each end (though, usefully, the T-slots ran on past them to maximise the clamping area). Both square and Acme-form feed screws appear to have been used during the production cycle, running through the same design of bronze nut as used on the Raglan "Five-inch" lathe. 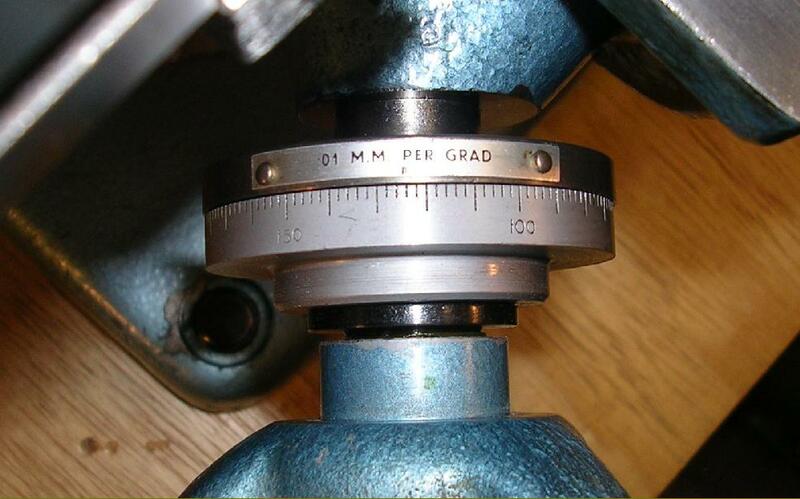 The Company's usual large and clear friction-setting micrometer dials finished in satin-chrome were fitted - though unfortunately only one (rather fine, chrome-plated) handwheel was provided for the longitudinal feed, at the right-hand end of the table. The table travel was 12" longitudinally, 4" in traverse and around 8.5 inches vertically - the latter figure also being the maximum clearance between spindle nose and table. Rather lighter than it looked, the miller weighed just 140 kg - caused in part by the main column being in cast aluminium, an unusual choice for a miller, but in this case completely effective. Selling in 1967 at almost exactly the same price as a Myford Super 7 with screwcutting gearbox and cabinet stand, the Raglan miller, at £199 was an expensive proposition. Adding the parts necessary to make a functioning machine - a Clarkson collet chuck (£13 : 0s : 0d), swivelling-base machine vice (£16 : 7s : 0d), coolant unit and pipes (£27 : 6s : 0d) and Low-volt lighting (£9 : 10s : 0d) - brought the total to £258 : 3s : 0d. As most of these machines were fitted, when new, with a 3-phase motor changing them for home use on 1-phase (whilst accommodating the awkward requirements of the variable-speed drive) used to be a difficult undertaking. However, with the advent of electronic 3-phase to 1-phase variable-speed inverters, this problem has been overcome - and even if the mechanical system is worn or damaged, it's a relatively simple matter to rig up a one-to-one drive and use the electronics to vary the speed..